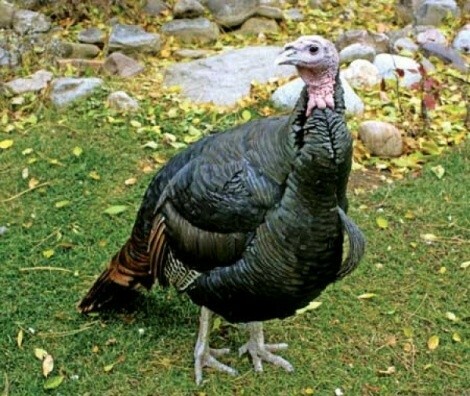 See turkeys up close and personal at the Hogle Zoo. 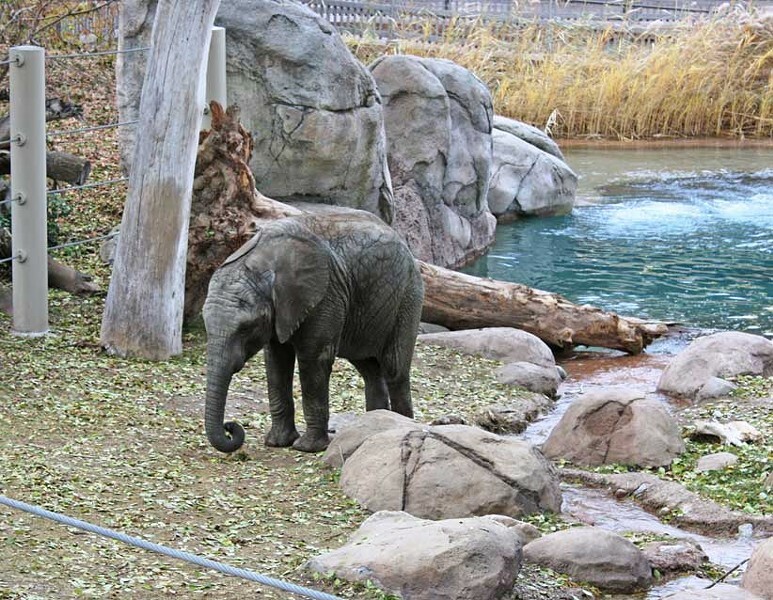 The benefits of visiting Hogle Zoo in winter are many: no crowds, no noise, and the zoo becomes a quiet and peaceful place to be outdoors in the fresh air. Plus, in the off-season, the song seems accurate: “The animals will love it if you do.” Remember, these animals are accustomed to crowds of admiring people. “The animals are glad to see people in winter; they notice you a lot more. You can have a better one-on-one experience,” Parkin says. He’s right. Most exhibits have several vantage points from which to see the animals. During my recent visit, a rhino snuggled up to the indoor window that gives visitors a ground-level view of the enclosure. There, the massive animal impassively people-watched, with an eye mere inches away from the eyes of humans, separated only by a thick pane of glass. 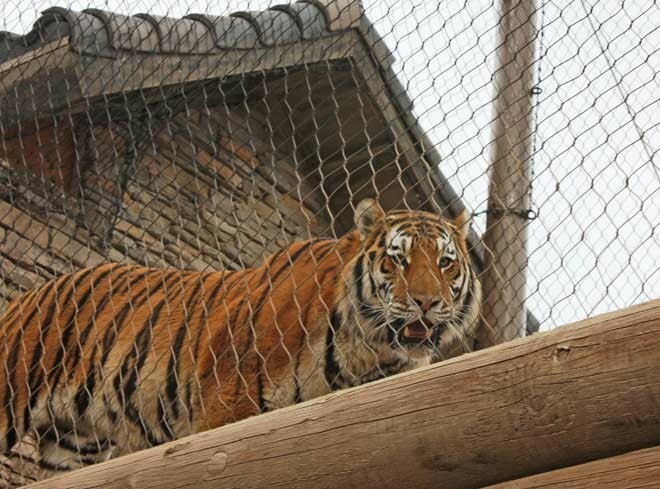 The cats are more active in winter: One tiger preened whenever people stopped to stare; it would then follow those people along its enclosure edge as they walked away, never taking its eyes off them. I had an enjoyable experience with a giraffe that seemed to want closer contact, leaning its head and towering neck toward me. We stared at each other, less than three feet apart, for several minutes. 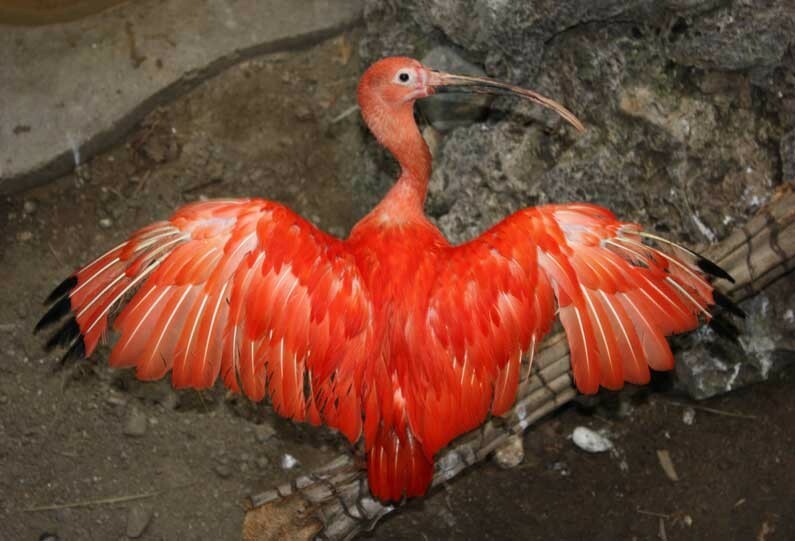 If you enjoy birds, visit the “Rainforest” exhibit, which offers a literal bird’s-eye view of tropical species like the scarlet ibis. There are no cages in this warm and humid aviary, where birds large and small flutter the leaves of tropical trees or noisily flap their wings. The birds don’t hide from humans as much as they do in warmer months. Even the monkeys seem to pay more attention to visitors than they do in summer. 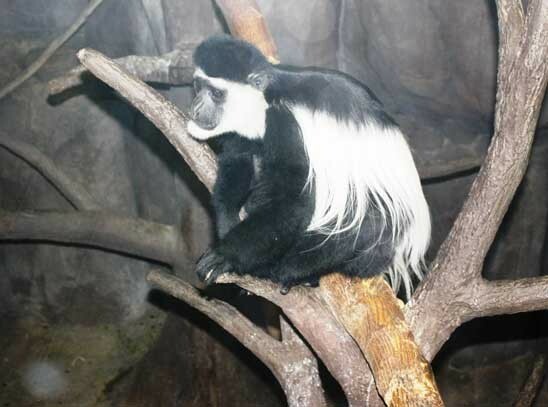 African colobus monkeys, with their striking, long, black-and-white fur, paid attention only to each other until people stopped to watch. Then they put on a show, racing each other along the ropes, swinging from trees and hanging by their legs to dip their heads into a feed bucket. There are other attractions such as a small animal-themed playground for children and a carousel ($2 for both adults and children); the popular zoo train doesn’t run once snow falls. For those who want an interactive animal experience, there are “Up-Close Animal Encounters,” where a zookeeper will be your guide as you feed and touch various animals. Choose between giraffe ($49), bat ($39) or Rainforest ($29). 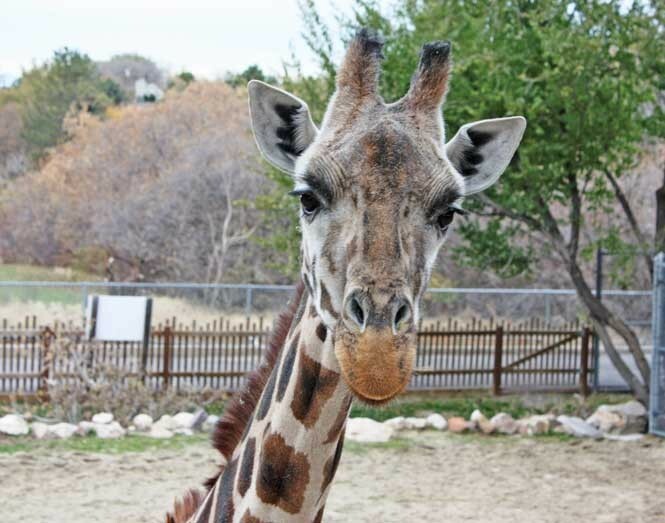 Prices are cheaper for zoo members; memberships, which start at $59, help support the zoo. You’ll soon be inundated by ads for the annual “ZooLights” attraction, where visitors walk around at night and see pretty Christmas lights, but not many animals. Forget that. Go during the day, where you can see animals up close and—in winter—more personal. $9 for adults, $7 for children 3-12, children 2 and under free. Winter hours: 9 a.m.-4 p.m.